Mino has launched some new mini 7 inch LCD display, the Mimo 740 and Mimo 710. The Mimo 740 features a 7 inch screen with a resolution of 800 x 480, has a built in webcam and is a touchscreen, it can be used in portrait or landscape mode. 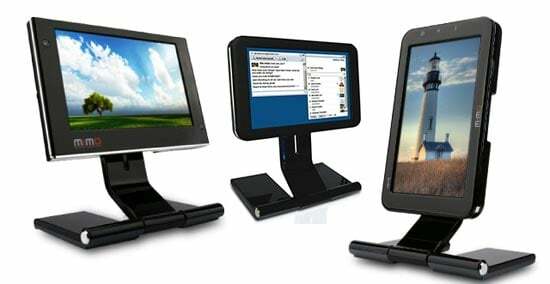 The 710 features a 7 inch screen with a resolution of 800 x 480, it can also be used in portrait or landscape mode, both of these tiny monitors connect via USB. The Mini 710 will retail for $129.99 whilst the $740 will retail for $199.